I'll be the first to say it, I like a lot of cushioning in my running shoes. But at the same time, I hate anything that feels clunky or weighs me down. 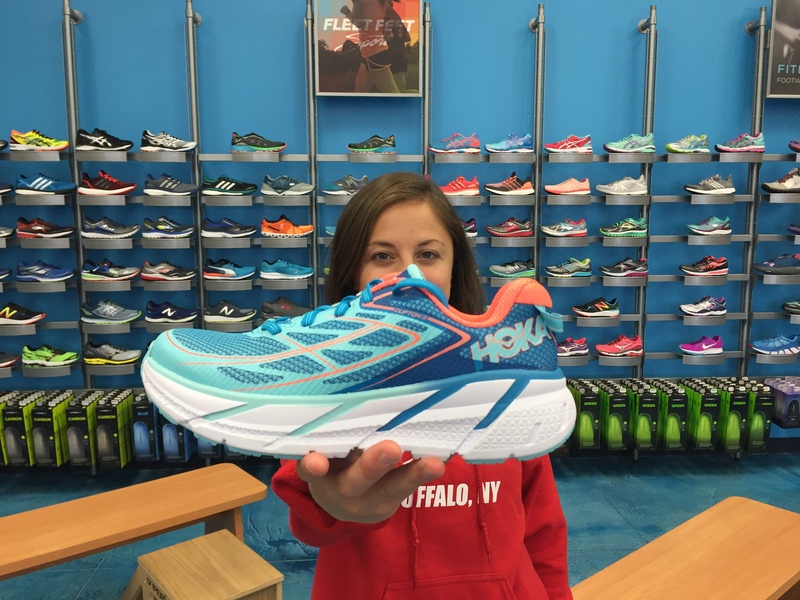 This winter, I decide to try out the HOKA Clifton 2 as my work horse shoe for my half marathon training. It turns out I made the perfect choice. Incredibly cushioned yet unbelievably lightweight right and smooth heel to toe motion kept me feeling comfortable and protected on recovery days and longer runs, but still felt quick enough or shorter faster work too. The Clifton 3 keeps everything I love about the Clifton 2. It's lightweight, smooth and surprisingly responsive, but adds a few key updates. The forefoot of the three is more accommodating than that of its predecessor. The upper material is more flexible, breathable and lightweight plus the toebox feel slightly wider. The shoe strikes a nice balance of fitting to the shape of my feet while still giving them plenty of room to stretch and breathe especially during those longer runs. If you're looking for a versatile, go to shoe that strikes the perfect balance between high cushioning and a lightweight feel stop in and try out the Clifton 3. Your feet will thank you!